€84 million in return for fishing licenses - is what Rabat threw on the table in the EU-Morocco negotiations for a new Fisheries Protocol. Earlier this year, the EU Court of Justice invalidated the application of the EU-Morocco fish arrangement to Western Sahara - where 91.5% of the EU's fishing activities under the deal take place. Under the current protocol, which expires in two weeks, Morocco receives around €40 million annually. Out of that amount, €30 million is paid by the EU, while the remaining €10 million is coughed up by the European fish sector. The EU paid Morocco an annual €36 million under the previous Protocol, which ran from 2007-2010. That Protocol had a negative turnover: the European Commission’s own evaluation of that Protocol showed that "each euro spent by the EU only generated 83 cents turnover and 65 cents direct and indirect value added accruing to the EU". "These are the lowest cost-benefit ratios of support to the European fleet across all ongoing bilateral agreements", the evaluation report stated. The financial loss to the Union was a key argument as the European Parliament rejected the Commission's new proposed Protocol in 2011. As a result of the weak cost-benefit ratio, the EU's contribution was lowered to €30 million under the current Protocol that entered into force in 2014. "It would be hard to imagine that Morocco's demand of doubling the EU's contribution would be acceptable for Brussels", says Sara Eyckmans from Western Sahara Resource Watch, "unless the Union is now willing to not only violate EU-law, but also to squander tax payers' money". In February 2018, the Court of Justice of the European Union (CJEU) invalidated the EU's fishing practices in Western Sahara under the EU-Morocco Fisheries Partnership Agreement. 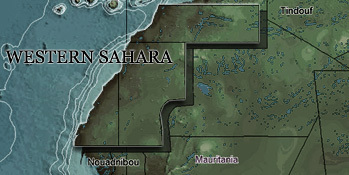 Western Sahara, the Court stated, does not fall under Moroccan “sovereignty or “jurisdiction”, and is not part of “Moroccan fishing zones” – a notion used throughout the Agreement and its implementing Protocols. The EU-Morocco Fisheries Agreement has been in place since 2006, but is implemented through Protocols which are up for renegotiation every four years.